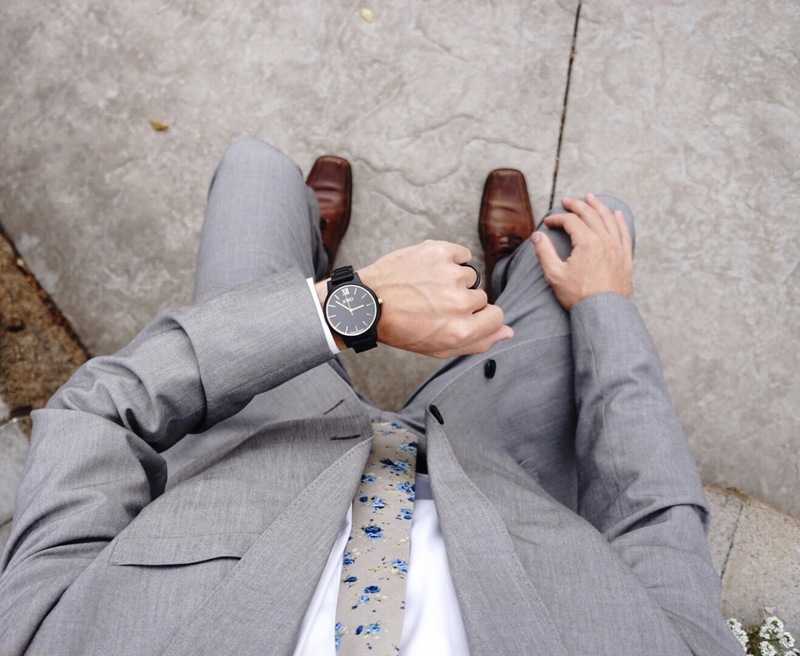 C/O Dazi Tie// 1990 Gray Floral. Use Code:MDKNIGHT. to get 15% off your entire purchase. This wooden watch makes for a great gift! It’s classy, lightweight and it goes with everything. They have flawless Men and Women’s watches. Michael picked out this tie because it was the year he was born hehe.. and it’s fun but not too loud. He’s pretty conservative when it comes to his clothes but he’s excited to try something new and get out of his comfort zone a bit. 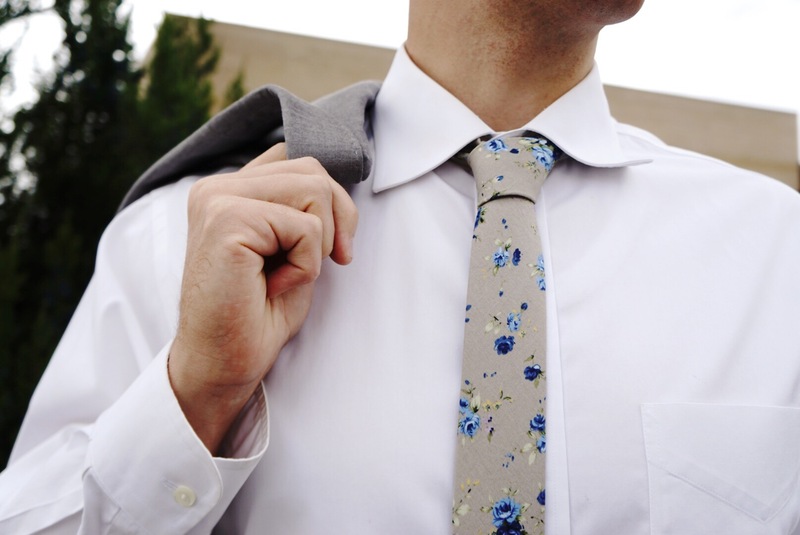 C/O Dazi Skinny Tie// Laguna White Floral Code:MDKNIGHT. to get 15% off your entire purchase. 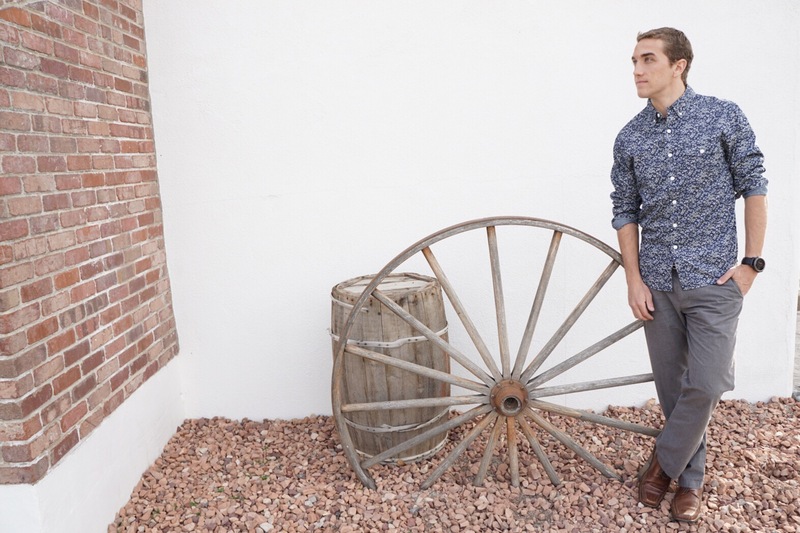 This extremely soft and classic denim dress shirt is great for a night out, a casual day at work, or it can even be dressed up for a wedding. 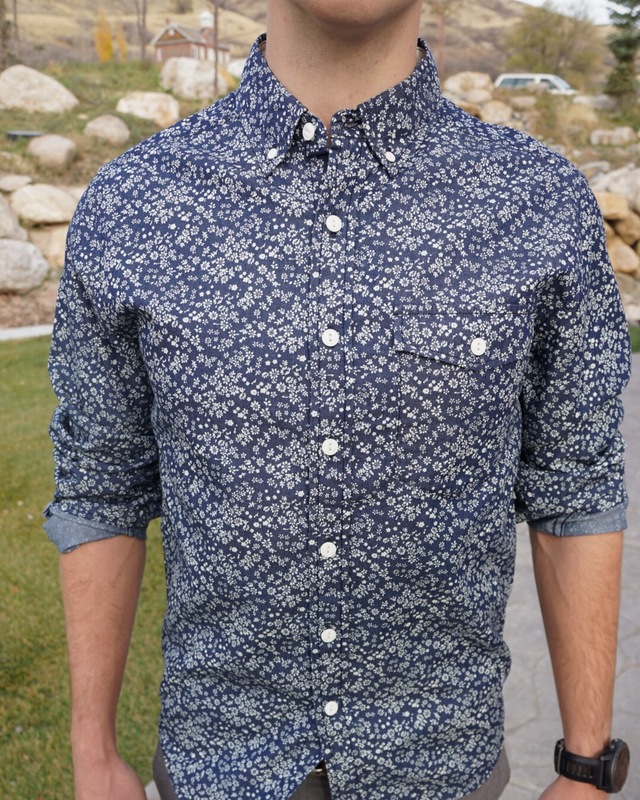 Michael loved the look of the BARQUE shirt TIED;) with the Laguna Dazi White Floral. This tie is my absolute favorite!!! I think it brings out the blue in his eyes and makes him look a little hipster! 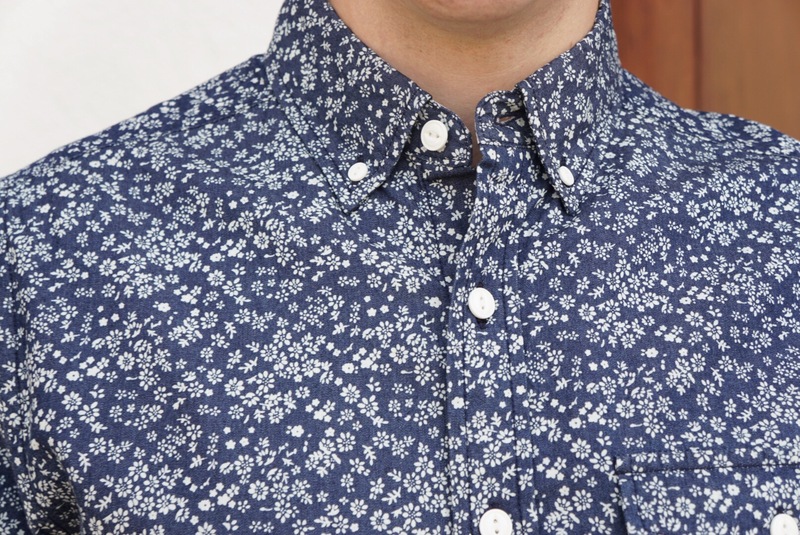 C/O BARQUE Dress Shirt// Floral Print Indigo Shirt ON SALE!! Garmin Watch //Fenix 3 GPS ON SALE!! If you have been wanting to get your Dad, Husband, Boyfriend, Brother…or any guy in your life something AWESOME for the holidays … go no further than this shirt… it’s the BOMB. I couldn’t stop giving Michael googly eyes all day. I love the contrast of the blue and the small floral. My hubby competes in triathlons so this Garmin watch has been super helpful in his training. It’s a GPS watch so it tracks pretty much everything he does (swimming, biking, running), gives him all the details he needs to know on his workouts and has a heart rate monitor.